According to the World Health Organization (WHO), 1 in 5 children are missing routine immunizations. With nearly 20% of the world’s population at risk for diseases such as measles, whooping cough, and other preventable diseases, there are close to 1.5 million deaths annually that could be averted. As part of World Immunization Week, we at NeedyMeds want to spread awareness on the importance of vaccinations and the resources available for those in need. In a previous blog post, we shared a graph that compared the morbidity of illnesses from the years before the vaccine was developed to the year 2000. All the applicable diseases—smallpox, diphtheria, measles, mumps, whooping cough, polio, rubella, tetanus, and influenza type b—decreased in morbidity in the United States by 95-100%. More recently, we wrote about this year’s measles outbreak that had schools barring unvaccinated students to cut down on infection rates. Though measles was declared eliminated from the United States in 2000, 147 people from seven states were reported to have the virus, all linked to an amusement park in California. The same strain of measles was traced to a large outbreak in the Philippines in 2014, and has been identified in 14 other countries in the past six months. 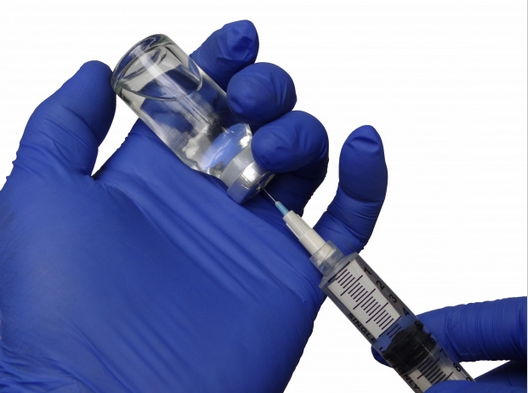 With no treatment, the vaccine is the main line of defense against the virus. It is worth noting that hardly any medicine can be considered 100% effective; for example, the measles vaccine is 93-97% effective with one or two doses, respectively. This means that three to seven out of 100 vaccinated people will still get measles if exposed to the virus. Measles is so highly infectious that 90% of unvaccinated people who come close to an infected person will contract the virus. With this knowledge, being unvaccinated for infectious diseases is not only putting one in danger of serious illness, but also the community at large. For those in need of assistance, our database of free, low-cost, and sliding-scale clinics has information on nearly 3000 clinics that offer immunization services. Search your zip code to find medical clinics near you that may offer free or low-cost immunizations. Pharmaceutical companies also offer Patient Assistance Programs (PAPs) such as Vaccine Patient Assistance Program and the GSK Vaccine Access Program for uninsured adults.